Just thought about blogging it again!!! An act of intervention should monitor the progress of the creative art (specially in case of motion pictures) and perceive the production in such a way that it acts as a catalyst to enlightenment and a social messenger for the entire country. However, India and its so-called intellectuals prefer to use their discretionary power in many other ways as well… Creative art is an endangered form of profession where the freedom of expression is fast disappearing. An authentic approach to cinema and other forms of creative art is extremely necessary to ensure quality of these art forms! Please voice your opinion about this senstitve issue and help creative minds breathe the fresh air… Vote above!!! The journey of love and necessity and the urge for existence gives us the courage to live this (sometimes wretched) life with ease and grace. My attempt to capture some expressions that gave me food for thought at various cross-roads of my life is humbly displayed here.. Some moregraduating perceptionsgave me a sensible eye to see through the hearts of people in distress and suffering from a deep anguish in some or the other reason. I have displayed some of my work with lens and light in myfacebook albumas well. An effort to materialize a vision, a dream and an imagination is reciprocated by one and all if and only if you have the courage to define the form of art that you want to profess, preach and practice. Cinema is a huge subject which tends to have its direct effects on my imagination and vision towards life. As an Indian citizen, I feel immense pride and pleasure to announce that a master of this art form was born in our country. He made his countrymen feel the pompous and gave them the opportunity to taste victory over their international counterparts in the field of cinema. 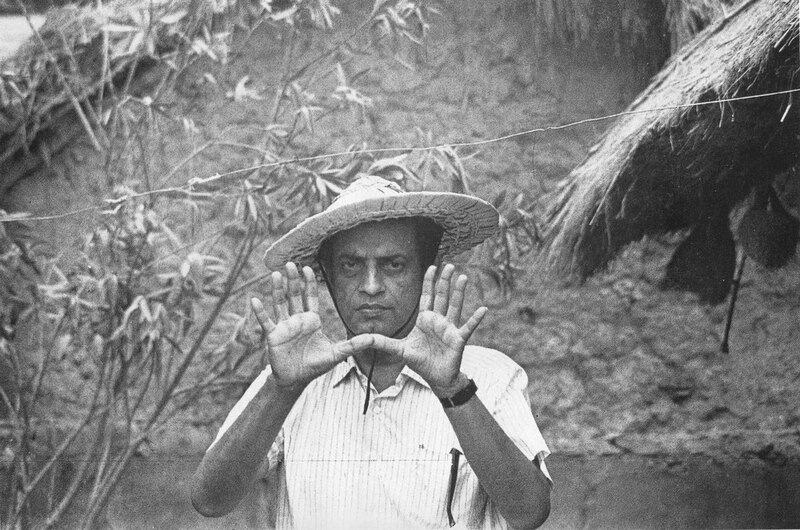 India was marked in the map of International film industry after Satyajit Ray came into the picture.